GA-ADANGBES : THE ANCESTRAL DIVINITY TRAIL OF ANCIENT LEGACIES. THE ANCESTRAL DIVINITY TRAIL OF ANCIENT LEGACIES. GA-ADANGBES & THE ANCIENT ANCESTRAL NUBIANS. THEIR AUTHENTIC SPIRITUAL-CULTURE & POLITICAL ANTHROPOLOGY. In the spiritual images of the Ancient Ancestral Divinities of "Kpa" (Khepera), "Nu", "Te", "La" (RA), "Amon" (Amen), "Tutu", "Ani", "Osa/Osei" (Osiris), "Asasi-Afia"/Asasi-Yaa" (Isis) and many more, "Amon-hotep" the Ancient Nubian :- A Black man, A Divinity, An Oracle, A King, A Warrior, A Judge and a Peace Maker. "Amon-hotep" was spiritually resurrected and royally embraced four times to a Royal Divinity Throne named as ;- Amon-hotep-I, Amon-hotep-II, Amon-hotep-III and Amon-hotep-IV. The authentic royal title name "Amon" is a synonym of "Amen" which has been a mandatory Royal systemized title. This system has disadvantaged us of knowing the true birth names of these Royalties, this method is still active among the Nubians now known as Africans. Amon-hotep-I was once worshipped in the world, "Amon-hotep-I" did not just demonstrated his Holy Divinity Leadership successfully, but laid down Spiritualism which has now been altered into a variety of Religions and other Holy Practices. The Royal names Amon and Amem has always been an active names among the Ga-Adangbes of Ghana as ; Amon-Tete, Amen-Huda, Amon-Kotey, Amen-Tepe, Amon-nor, Amen-non and Amon-nor-Tey, ect. Also the internationally proclaimed to pronounce "Amen" after a sermon, a prayers ,a profess, to come true, so be it and the affirmation of apostolic liturgy prayers, etc. The Divinity "Amen" ( Amon ) name mentioning after prayers or as a personal belief is greatly used among Christians and Catholics over the world. Amon-hotep-I who inherited his spiritualism from his Ancestors was later honored with a hail of the Greek word; "hotep", which means; Peace or The Peace, by the territories once ruled by him, the word hotep has never ever been part of the Ancient Nubian Spiritual Doctrine. The Nubian Holy man Amon-hotep-I reputation influenced the Greeks to described him with the Greek name "Zues" but with an image as a Greek person, while the Romans also described the Amon hotep-I with the name "Jupiter" with the image of a Roman-Caucasian. Both the Greek and the Romans lived spiritually on the merits of the Nubian Amon-hotep-I spiritual doctrine. Was Nubian history being re-written by the Greeks and the Romans ???. According to the Ancient Ancestral Nubians and the present Nubians, a spiritual practices leadership is appropriate to be led by the lineage spiritually, directly related to the spiritual doctrine and anything less or more could result in fatal. Nubians, now known as Blacks or Black Africans are very sensitive about moral and spiritual representation, this moral method in Africa is related to Kings, Queens, Head of Clan, Divinity Representatives and an Oracles. It is one of their moral Legacies that all spiritual Doctrines are self sanctified to the fullest, awaiting the proper leadership to take control. It is more than a husband and a wife, it is being in the state of "Immortality Matrimony". ANCIENT STATUE OF QUEEN NEFERTITI, THE WIFE OF AKHENATEN AND MOTHER OF QUEEN ANKANSENAMON. 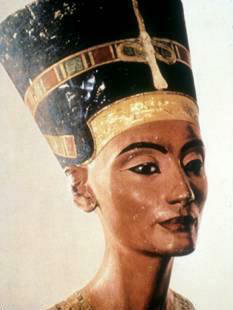 A RE-PAINTED STATUE VERSION OF NEFERTITI , A NUBIAN QUEEN. 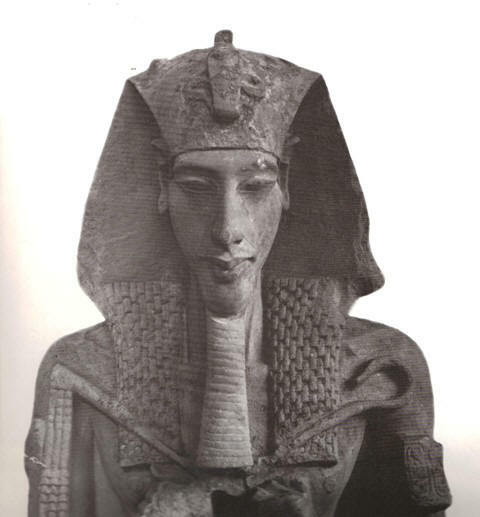 STATUE IMAGE OF PHARAOH AKENTEN-I ( AKHENATEN-I ) THE AMON-Hotep-IV. A NUBIAN AND THE RELATIVE ROYAL LINEAGE UNCLE OR STEP BROTHER OF KING "TUTU-AKA-AMON". & THE DAUGHTER OF AKENATEN-1. Amon-hotep-IV, who was also known as "Akenaten" or more correctly as "Akenten"; a typical Ghanaian "Akan" name, while his royal title name was "Amon", also a typical Ghanaian Ga-Adangbe/Ewe name. Both the Akans ( Akan-tens/Akanten ) and the Ga-Adangbes/Ewes are from the present Ghana as well as both are linked to the ancient "Ghana-Empire", the "Sunghai Empire", the "Mali Empire", the "Gao Royalty ", "Zuwa Dynasty of Zuwa Kusoy" ( Sowa Kusoy ) and the territories. They are both descendants of the Ancient Nubian Royalties and once royal relatives associates, like most now Nubian (African) nations. During Akenaten's regime, he re-established a doctrine method of worshipping the Supreme Divine Creator of the Universe by facing East to the Sun as the only moral symbolism-image. The worshipping of the Supreme Divine Creator with the Sun as symbolism did not begin with Akenaten-I, ironically, the divinity "Kpa" ( Khepera ) prior to "Osa" Osiris dynasty was the earlier Divinity conducting worshiping of the Supreme Divine through the Sun as symbolism. Akenaten Ancestors also worshipped the Supreme Divine through "Osa" with the Sun as the symbol. "Osa/Osei" is now the Greek phonetic spelled name Osiris. 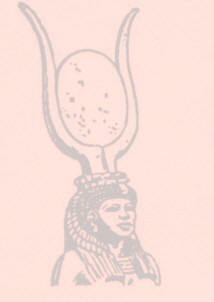 Osiris it is a Greek corrupted name of the Ancestor Nubian "Osa/Osei". Had Akenaten accepted his original throne as Amon-IV ( Amon-hotep-IV ) he will then follow the Osa/Osei (Osiris) and Kpa (Khepera) system as worshiping through the Sun through the two ancestors "Osa/Osei" and "Kpa". Instead, Akenaten altered his ancestors ancient system to a new name title Akenaten-I and revolutionized his ancestors ideology to practiced Iconoclactism against his ancestors, after that he became less popular and less famous during his later years and after his regime. Akenaten-I motive was to establish and to introduce himself as the only worshiping conductor to the Supreme Divine Creator of the Universe. This spiritual reform of Akenten occurred in the middle of the year 1300 BC. The likely ancestor of Akenaten, ( Aka-Nu-Te or Akenaton ) can best be link to the earlier divinity "Tem/Temeru", who was the first creation-son of "Khepera" (Kpa). Retrospectively, "Aka-Nu-Te" third joint name "TE/TEM or TEMERU" can justified his idea of the resurrection of his ancestors through him of the divinities "NU" and "TE/TEM". His first part name "Aka", connotation of "KA", meaning the body soul. The history of Akanute ( Akenaten ) ancestral doctrines of Sun worshipping influenced his reinforcement to resurrect the divinity "TE" as once Ancestor and conductor to the Sun worshipping. To establish his legacy, he honored his ancestor "TE" by creating a city in his "TE" name. The city worshiping of the the Ancestor "TE" as the Sun, facing the Sunrise while him Akanute will be every living soul conductor in worshipping the Sun. The city was named "a-TE-n" ( Aten/Atens ) phonetically "Aton". Later, other Nations duplicated the Divinity "a-TE-n" ( Aton/Athens ) worshiping cities without royal lineage to them, but by believe only. Naturally, Nubians believed in Symbolism when it comes to matters related to Spiritual and moral values, just as the Sun and the Moon symbolize and represent Day and Night. In Essence, Akenaten-I, who was also Amon-hotep-IV, just like his Ancestors, he could not wait with his newly reformed spiritual belief to introduce the Solar Disk as a Divinity Symbol to his Solar Worshiping "Aton" (Aten). "Aton", the Greek phonetic spelling of "Aten" was attributed spiritually to related issues of the Greek, such as; Athena;- Greek deity of wisdom, Athens;- Capital of Greece, Atheist;- a person who denies the existence of the Supreme Divine of the Universe etc. The names; Athena, Atheist, Aten, Athens, Ate and Atheism were attributed from the Nubian Akenaten's reformed of his Ancestral Spiritual Doctrines to his Divinity "Aten" ( TE ) as Tettey. Like thousands of years of old volcano eruptions which burnt the soil that has turned into fertile soil for planting crops, so does the descendants of the Ancient dispersed Nubians arose from the fertile Ancestral blood, practicing the legacies of their Ancestors. The Ga-Adangbes, the Ewes, the Fantes, the Akans and Nubians in general, used the name "Osa" / "Osei", the so-called "Osiris" of the Greek as a spiritual name for a third born male name as "Mensa" (Mensah). Since the name "Osa" is more spiritually incline to the Nubians, it is being used in West Africa for royal positions, just like the name "Amon-hotep-I, the II, and the III to honored their Ancestor "Osa" ( Mensah / Amon-Sa ) (Osiris) the Supreme Divine Human Figure as the Redeemer and the Trinity. The once Ancient Divine Supreme Human Figure with the spiritual title name "Osa" still play a role among many African Nations. In reference, the Ancestral Nubian Spiritualist ;- The "Tutu-Ani" who was the brain faculty of the Ancient Nubians Holy Spiritual Doctrine, is now being represented by the La-Asafo people as the "La-Kpa-Wulomo". In ancestral characteristics, the La-Kpa-Wulomo can only have his morning meal after the sun rises and not before. There, I was convinced that their spiritual belief plays a significant role with the Sun worshipping symbolism. Just like their Ancestors, the main entrance of the La-Asafo Holy house of the wulomo, faces the Sunrise position East, while the Divinity room within the house also faces the Sunrise East position. The La-Asafo people of the Ga-Adangbes has always been in spiritual respect with the Sun. There are certain ceremonies that they will perform before the Sun rise and some after the Sun set. The Ancient Ancestral Nubians, (the so-called Ancient Egyptians) have established their true spiritual belief with a symbol of human and nature material symbol to their belief. 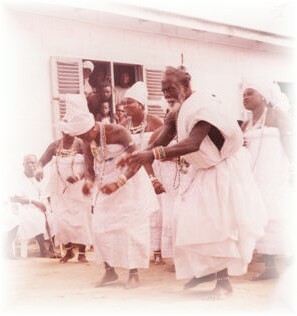 The Ancient Divinity "Kpa" which the Greek have corrupted unintentionally to the word " Khepera" whose attribute is mainly to the "Sun" as the Supreme Divine is still active with the "La-Asafo" sub-Nation, as the redeemer in a human form, which was the latest ancestral Supreme Divine Human Figure ; "Osa" as the redeemer to the Supreme Divine. In essence, the sub-Nation La-Asafo is active with the "La-Kpa" (Khepera) as the Supreme Divine Redeemer to the "Nyomo" = The Supreme Divine Creator of the Universe. The Ga-Adangbes La-Asafo format of the Universal Spiritual practices of Monotheism differs from Akenaten's spiritual reform to his Divinity Aten or Aton. The difference is that, "Amon-hotep-IV" (Akenaten) Iconoclastic act also affected the ancient "Kpa" (Khepera). Though "Tutu-Aka-Amon" re-instated the old spiritual method of his Ancestors before his death, the daughter of Akenaten tried to re-establish her father's Iconoclactism. Sensitively, most of the Ancient Nubians City-States, include the Ga-Adangbes, not called Ga-Adanbges then, were in disagreement with the Ankensanamon regime. 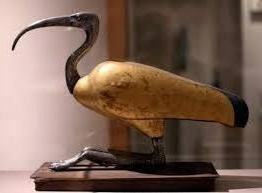 This brought chaotic environment among the Ancient Nubian City-States. Due to the unacceptable predictable act of Iconoclactism and the matriarchal system conversion from patriarchal method and murder accusations against Ankensanamon of the death of her young cousin and husband "King Tutu-Aka-Amon", introduced bitter chaotic and dispersion with intermittent wars among them, coupled with temporal settlements which ended at their present locations on the same continent now called Africa and some to the East toward territories before and after Indian. This dispersion was one of the "Exodus of the Nubians", a partial relocations of many Nubian Nations of the Ancient Nubians. Another Exodus of relocations of the Ancient Nubians came due to the Alexandra's terrorist act upon the Nubian Nations, both in the now Middle East and specifically the Nubian Nation now called Egypt and territories. Akenaten's Iconoclastic act imposed upon his ancestors derailed most of the Nubian Ancestral Spiritual Doctrines. After Akenaten death, most of the ancestral Nubian Doctrines were tampered with; some of the Doctrines were versionized into compound fractured Religions and other beliefs, coupled with unqualified and unholy spiritual representations and representatives. The worse was that, the holy doctrines were translated into other languages, with different language interpretations of the Nubian languages, while the interpreters did not fully understand the Nubian languages. As a duty, the Ga-Adangbes spiritually clinched to most of their Ancient Ancestral Authentic Spiritual Doctrines, which led them to their present spiritual practices of the Ancestral Ancient Oldest Divinity "Kpa" over the later format spiritual practices of "Osa" the Ancestral Trinity Kingship. Consequently, the sub-Nation La-Asafo of the Ga-Adangbe Nation have enthrone most of the heads of their Clans as redeemers with the title "Osa", known to them as "Asafoatse", meaning ; Head Redeemer of the "Osa" doctrine. In this case, all the Asafoatse factors serves under their Ancestral Oldest Spiritual Doctrine Legacy, which is the Doctrine that harbors all Divinities and Holy Doctrines; The "Kpa", the so-called "Khepera" of the Greek. 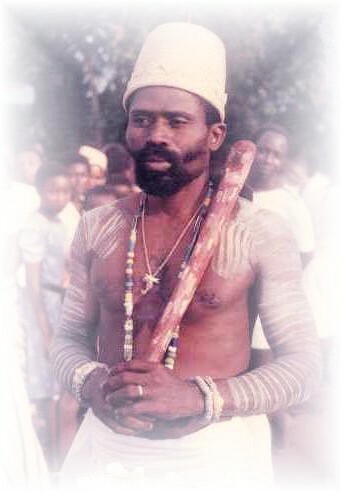 To the Ga-Adangbes La-Asafo people, the "La-Kpa" is the spiritual Symbol of the Monotheism "Nyumo" ; The Supreme Divine Creator of the Universe. ( "The La-Kpa Wulomo" is the Redeemer to the La-Kpa".) The meaning of "Kpa" is ; Holy Testimony, and the meaning of "Hieroglyphic" is ; Holy Testimonial Transcript. THE "ASAFOATSE" ( THE REDEEMER OF THE ANCIENT SACRED SCRIPTURES ) OF THE HOLY PRACTITIONERS. ABOVE: A NUBIAN, THE MOST POWERFUL WOMAN EVER KNOWN;-QUEEN, ORACLE "ASASI-AFIA " (ESSIE) OR (ASI) THE SO-CALLED "ISIS", THE SISTER AND WIFE OF THE DIVINITY "OSA" MENSAH (AMEN-OSA)/(AMON-OSA). ART FIGURE OF THE NUBIAN HUMAN DIVINITY "OSA" THE SO-CALLED "OSIRIS". HE WAS THE ORACLE , THE TRINITY AND THE "ASAFOATSE" ( THE REDEEMER OF THE ANCIENT SACRED SCRIPTURES ) OF THE "KPA" TESTIMONIES. After the death of Amon-hotep-IV who was ( Akenaten-I ), in 1353 B.C. "Tutu-Aka-Amon" the nephew of "Akenaten" was enthrone the King of Nubia, the territories of now Egypt and its city states, included the surrounding countries, (the Nubian Plains). 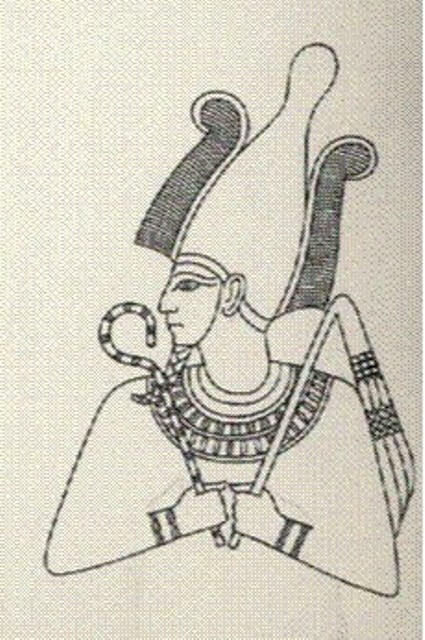 "Tutu-Aka-Amon", who was supposed to resurrect only two divinities by names as (1) Tutu-Ani ; who was the Spiritual brain faculty of the Ancient Nubian Spiritual Doctrine, whose name has been damaged to only "Ani" by some poor hieroglyphic translators, and (2) Amon-hotep-I ; who was known as an Oracle, King, Divinity, Warrior, Judge and Peace Maker. This two Divinity names would have been "Tutu-Amon". Instead, a third name was added, who was his predecessor and uncle "Akenaten", this brought the King title name to become "Tutu-Aka-Amon". Ankensanamon, who was the daughter of Akenaten wanted part of her husband and cousin royal title name to be part her late father's name, to be remembered and to be part of history as "Tutu-Aka-Amon-I" instead of "Tutu-Amon-I". 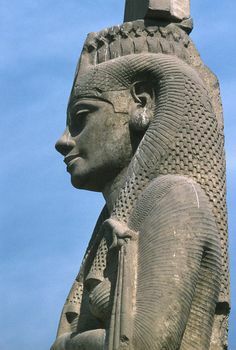 After the death of the boy King ; Tutu-Aka-Amon-I of the Nubian Plains, his wife and cousin "Ankensenamon" ruled as a Queen, under a supervision of the Nubian (Egyptian) military vise (Deputy) husband who was not connected to any royal lineage. Ankasenamon ruling after the death of her husband "Tutu-Aka-Amon-I" introduced the matriarchal system which has became a legacy for some nations within the west-African areas. These matriarchal system practices nations were the followers of "Aka-Asi-Amon", during the tension and after the dispersion of the Nubians from the then Nubian Plains. NOTICE : ABOVE THE HEADS OF THE WALL PAINTED PICTURE OF NUBIANS ( NOW BEING CALLED AFRICANS ), YOU WILL SEE THE KPA :- SACRED TESTIMONIAL "ASAMAN" DESIGNS CALLED "HIEROGLYPHICS" BY THE GREEKS. THE ONCE KPA-ASAMAN DESIGNS WRITINGS ON THE DEEP SEA FISHING CANOES OF THE GA-ADANGBES ( GA-DANGMES ), FANTES & THE EWES FISHING CANOES. THE ASAMAN WRITINGS WERE ALSO ONCE ON DEEP-SEA FISHING CANOES ALONG THE WEST AFRICA ATLANTIC OCEAN SHORES, MAINLY FROM THE GULF OF GUINEA SHORES TO SENEGAL GAMBIA SHORES. ( THE ATLANTIC OCEAN SUB-SAHARA SHORES ). THE GA-DANGMES INHERIT THE DESCRIPTION "ASAMAN" FROM THEIR ANCESTORS "OSA" / "ASA", ( WHICH THE GREEK CALLED "OSIRIS" ) ALSO INHERIT THE NAME ASAMAN FROM THEIR ANCESTOR "PHARAOH-AMEN" ALSO KNOWN AS "AMON-Hotep". 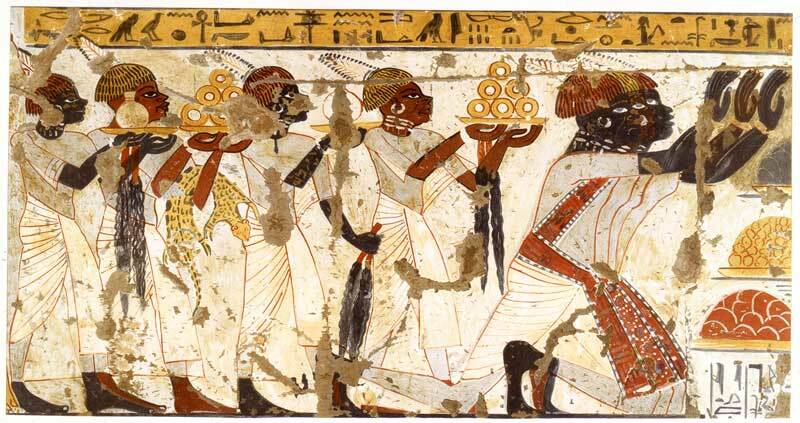 THEY WERE AUTHENTICALLY & HISTORICALLY KNOWN THEN AS NUBIANS, NOT AFRICANS AND NOT BY FOREIGN DESCRIPTION AS EGYPTIANS. BEFORE, DURING AND AFTER THE WAR BETWEEN THE ( CRUSADERS ;- CHRISTIANS RELIGION ) AND THE ( MOHAMMEDANS ;- ISLAM RELIGION ), WAS WHEN THE NUBIANS IN GENERAL STARTED LOOSING THEIR LIVES & SPIRITUAL CULTURE TO COLONIZATION, ENSLAVEMENT, LANGUAGE CONVERSION, RELIGION CONVERSION, LAND MONGERING, DESTRUCTION OF NUBIAN HOLY BUILDINGS-CITIES, NUBIAN NAME CONVERSION & KILLINGS OF UNACCOUNTABLE NUBIANS TO BOTH THE CRUSADERS & THE MOHAMMEDANS, NOT TO MENTION ALEXANDRA'S TERRORISTICS ACTIVITIES IMPOSED UPON THE NUBIANS IN NORTH EAST-AFRICA AND ACROSS THE MEDITERRANEAN SEA. Some of the Nubian Nations resettlements in West Africa reflects more as a relative favorable nations parted division of Ankensenamon matriarchal system, when traced back to the regime of "Akenaten" and "Tutu-Aka-Amon" regime, there was a fine royal commitments, mutually for both the Ga-Adangbes and the Tswi, Akan and Ewe speaking areas in Ghana and neighborhood countries. Some of the Akan or Tswi speaking areas favors more with the matriarchal system within their Clans. The Akan areas are also more incline with Kingships, the craving taste of Ankensenamon, though many Kings can also be found within the Ga-Adangbe and the Ewe regions. 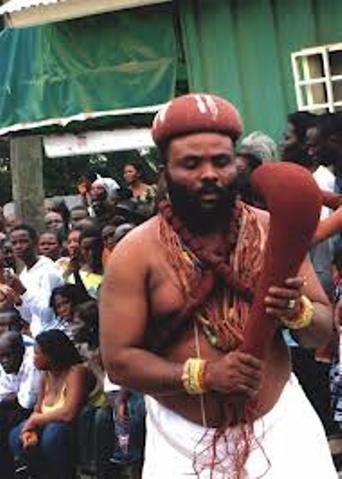 The Ga-Adangbes and the Ewes are also highly incline in deep royal ancient spiritual Doctrines, in essence after the death of "Tutu-Aka-Amon-I", portions of the royal clans consisted of both the Ga-Adangbes, Gonjas, Akans, Ewes and the Yoruba's etc. who broke to separation with bitterness demonstrated the rejection of the matriarchal system by practicing mandatory patriarchal system, a system being practice prior to Ankensenamon. The bitterness among them came about due to the disagreements of how to handle the royal kingship. After the death of "Tutu-Aka-Amon", the daughter of "Akenaten"; "Aka-Asi-Amon" who was the wife and a cousin of the boy King; "Tutu-Aka-Amon", managed to hijacked or staged a coup d'e tat of the throne, by marrying the Nubian military Vice (Deputy) to enable her manage the control of the throne, which she succeeded against the opposition, who were then the patriarchy followers. This left the oppositions with the possession of the heart of the throne;- which was the "Spiritual Royal Doctrine" of the Kingship that was hijack by "Ankensenamon". It is strongly believed that the Ga-Adangbes and the Ewes still have in their possession of the Spiritual Royal Doctrines of the Ancient Nubians Kingship Powers of the Dynastical Ruling of their Ancestors. Since the last husband of "Ankensenamon" the military "Vice", who was not of a royal blood to the throne, all children born for the Royal family went to "Ankensenamon" side of her family, to keep the royal lineage with her and her father "Akenaten". The children claiming to a royal lineage by "Ankensanamon" to her father side family introduced matriarchal system practices within their royal cycle (lineage). This matriarchal lineage within a royal family can strongly be found among few west African nations. The title name "Ankensenamon" is a Greek phonetically spelled of a three Divinity Royal Names; "Aka-Asi-Amon", an active resurrected Divinity names for her throne as a Queen. The three Divinity names are; (1) "Aka", part her fathers name. 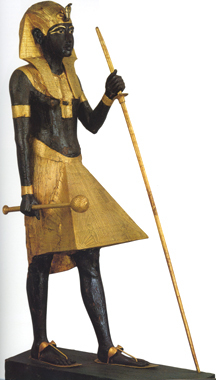 (2) "Asasi, Asi or 'Assie" a synonym of "Essie" ( Isis ) ; who was an Ancestral Divinity Queen, Spiritualist and the most powerful woman ever known, who was also the wife and sister of "Osa" (Mensah), the so-called "Osiris" of the Greek. (3) "Amon" of all the "Amon-hotep's", when joint together ; "Aka-Asi-Amon". In reference; The Ancestor "Hatshepsup", 1495 to 1475 B.C., a Nubian Queen of the Nubian Plains, who serves under the image of her late husband; King "Tutu-Mose" (Tutmose) ( Tutu-Amon-Osa ). She later lost the throne to her husband's son, who re-instated the legacy as 'Tutu-Mose" (Tutmose) ( Tutu-Amon-Osa ) because Matriarchal was unacceptable during that period. "Queen Hatshepsup" ruled under her late husband's male image mask. To be continue. Author and editor : NII NAI-TETE.